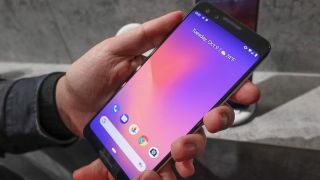 Since its launch on October 18, Google's Pixel 3 has seemingly been plagued with a series of varying issues, with some users reporting instances of photos not saving, memory management problems, devices overheating and shutting down and appearances of a horrifying second notch. Today, yet another Pixel 3 bug has been discovered: disappearing text messages. As reported by Android Police, certain Pixel 3 owners have noticed their SMS messages and chat histories vanishing in a Houdini-like fashion. On Reddit, some believe the problem is tied to the arrival of Google's November security update, although other users say the problem was already happening to them last month, leading many to speculate that it's specifically an issue with the Android Messages app. Thankfully, Google has already acknowledged the disappearing text messages problem, with a spokesperson for the company stating, "We recently discovered a bug affecting SMS/MMS on a small number of Pixel 3s and are rolling out a fix soon." and then 'App Info', then hitting the menu button and selecting Uninstall updates.